It was a ritual that would become commonplace for me as the week wore on: Sit cross-legged on the floor, facing the chief and his most favoured warrior, both of them adorned with an elaborate costume of colourful flower leis and dry, brown grass. Take the wooden bowl of cava – a drink made from a local root, which, when drunk in the right proportions, has a mildly narcotic effect. Proceed through an elaborate series of claps, and then – tip the bowl back, pouring that cava down my gullet. And then, I was in. 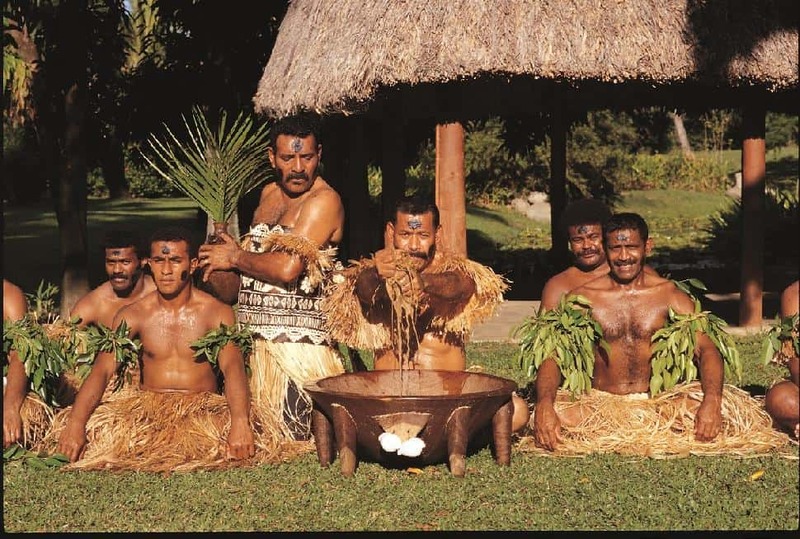 Travelling solo across the many islands of Fiji, it was a ceremony that became familiar to me, a traditional welcoming rite observed by communities all across this Polynesian nation. I never feared being harmed (or worse) should the ritual go awry – something that couldn’t be said for those who visited here in centuries past, when cannibalism was common. 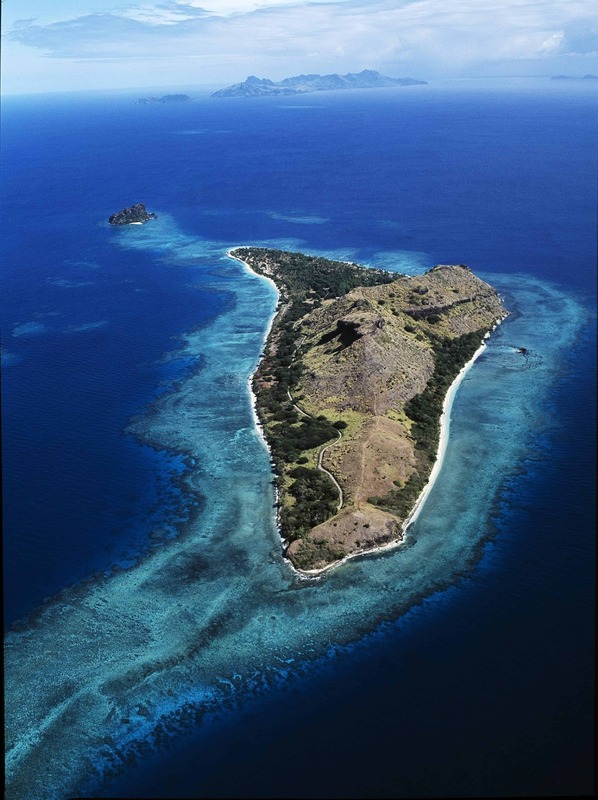 Now this archipelago of 332 islands (110 of them inhabited) is known for being one of the world’s greatest paradise destinations, and I was determined to experience as much of it – as many islands as possible – during my week-and-a-half visit. I started out with a Captain Cook Cruise through the Yasawa Islands. Stretching to the northeast of Viti Levu (Fiji’s largest island, a place commonly referred to by Fijians as the “mainland”), I spent three days and three nights floating through scenes straight out of an idealized postcard, with water so blue, mountains so green, beaches so white that I couldn’t believe they hadn’t somehow been airbrushed. The ship was relatively small, and we navigated through spectacular channels and into small bays, sometimes stopping off to feast and interact with the people of remote villages (where I was usually tapped to participate in the cava ceremony). Daily excursions usually involved the water, snorkeling or diving in settings made famous on film – we passed the island made famous by Tom Hanks’ Cast Away and snorkeled the waters that served as the paradisical background for the 1980s Brooke Shields film, Blue Lagoon. While I could have spent a happy month (or, indeed, a lifetime) in the Yasawas, it was time to move on. I was scheduled to leave the cruise early and, accordingly, a water taxi had been arranged for my transfer. I couldn’t quite believe my eyes when an extremely small vessel – a little tin motorboat – pulled up to the bow of the ship, the stenciled letters on its weathered gunnels announcing it as Joe’s Water Taxi. I hopped in, and we were off, my driver Tony (Joe’s son) expertly piloting the boat onto the high seas, riding crests that felt rather large to me. As I clutched the side of the boat, I asked Tony if he had seen bigger seas than this. “Oh, yes,” he replied nonchalantly, and then did something that I hadn’t expected: he pulled out a fishing rod and, driving with one hand, he fished with the other. While he hadn’t caught anything by the time we reached our destination, we arrived dry, and thus I considered the voyage a success. I had another boat-to-boat transfer, stepping up from the fishing boat up onto the Yasawa Flyer, a fast catamaran that provides regular service to this part of Fiji. It delivered me to Vomo, a volcanic island straight out of a child’s storybook, complete with a big, conical mountain and a small village (in this case, the resort) huddled in its shadow. Instead of the cava, I was welcomed with song – a simple tune sung by two of the resort’s employees, accompanied by a single guitar. It was beautiful, and set the tone for my days on the island. On Vomo, I happily lapsed into a semi-comatose state, spending whole days in a hammock or swimming in the pool, and spending long evenings at their waterfront bar, which is set on a dramatic point, where I would settle in – rum concoction in hand – and watch the clouds roll by overhead. On Vomo, the days were slow, and a massage was a major afternoon event. I started taking on an island mentality, moving at a ponderous pace, wearing a Bula shirt (decorated with palms and flowers, with three buttons always open) and wearing a beaded bracelet at all times. At night, I would eat my dinner – the meals here were some of the best I’d have on my trip – and listen to the staff, clad in their own Bula shirts, croon out favourites like Brown Eyed Girl, set to an island beat. Too soon, my reverie was broken, and I moved on – fortunately, to another paradise. I was picked up by another small motorboat, and we crashed through the waves, back to the “mainland” (Viti Levu). From there, a driver sent by Rosie Holidays (himself outfitted in a Bula shirt) took me past the luxury resorts at Port Denarau, rolling through bustling Nadi (the island’s largest city, pronounced “nan-dee”), to the Coral Coast, on the southern end of the island. Checking into Outrigger on the Lagoon, I enjoyed my final days in Fiji. 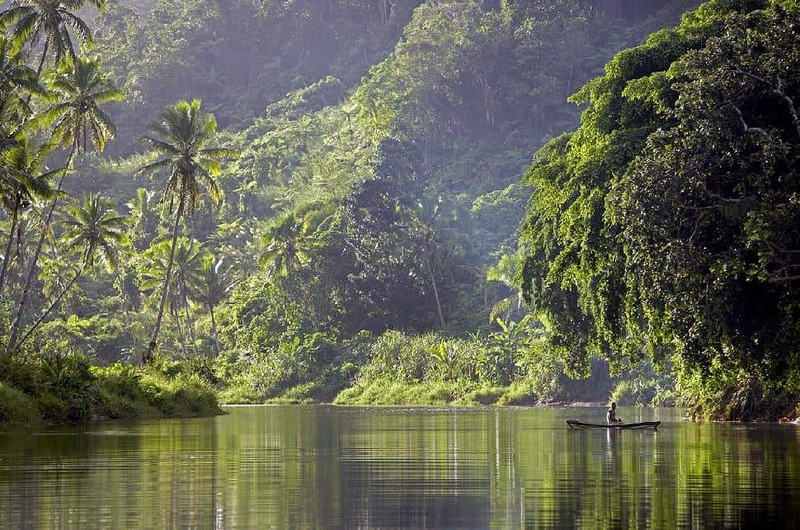 From there, I went deep inland – former cannibal country – with a company called Rivers Fiji, crashing through Class III and IV rapids as we rafted deep into the jungle. Navigating through a deep, narrow canyon, guides steered us under waterfalls, through roiling whirlpools, and, around the midway point, onto a sandy bank for a shore lunch that somehow made it through the waters dry and whole (more than I could say for the people in our raft). Fiji Airways flies daily from Los Angeles offering late evening departures and early morning arrivals in Nadi. Between June 19 and August 14 will operate two flights a day on Thursdays. All flights feature two classes, Business and Economy, aboard new Airbus A330-200 aircraft. There are also three flights a week between Honolulu and Nadi. Fiji Airways honours frequent flyer programs with Alaska, American and Qantas airlines.